Check out Tobi's Forever Young Leather Cadet Hat Top off every outfit with a new twist on the boy cap. The Black Forever Young Faux Leather Cadet Hat is full of boyish charm. In grained PU, the cadet hat has a classic soft crown and peaked brim, and will add just the right amount of edge when you're at brunch or out shopping. Top off every outfit with a new twist on the boy cap. 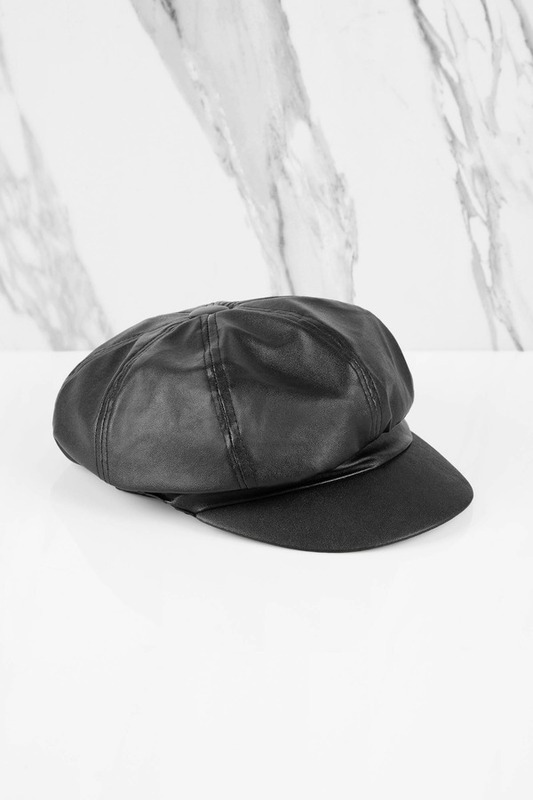 The Black Forever Young Faux Leather Cadet Hat is full of boyish charm. In grained PU, the cadet hat has a classic soft crown and peaked brim, and will add just the right amount of edge when you're at brunch or out shopping.